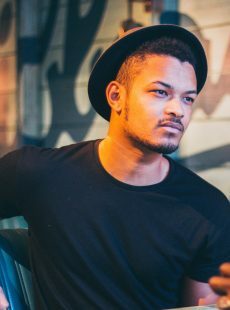 Steven Bartlett is the 26-year-old CEO of Social Chain Group – a social-first marketing agency and production house. From a bedroom in Manchester, this university dropout built the group’s two flagship companies – Social Chain and Media Chain – when he was just 22 years old. Steven leads a company of 270+ like-minded individuals who are quickly disrupting the ever-changing social sphere through the creation of pioneering and innovative campaigns for some of the world’s biggest brands. Social Chain’s impressive client list includes the likes of Apple, Amazon, Coca-Cola, Superdry, New Balance and Nokia, with their presence now felt in Manchester, London, Berlin and New York. Since its onset, the digital publishing house ‘Media Chain’ now owns some of the largest media assets online – reaching over 1.8 billion people a month through a series of online brands. An award-winning entrepreneur with accolades such as Great British Entrepreneur of the Year 2017 and Most Influential Agency Figure 2018, Steven also acts as a speaker, investor and content creator, hosting top charting podcast, ‘The Diary of a CEO’ and creating videos online that have seen him hit over 30 million views. Previous speaking opportunities have seen Steven speaking at the United Nations, DMWF, YMS, Engage Prague, Ted Talk plus more.